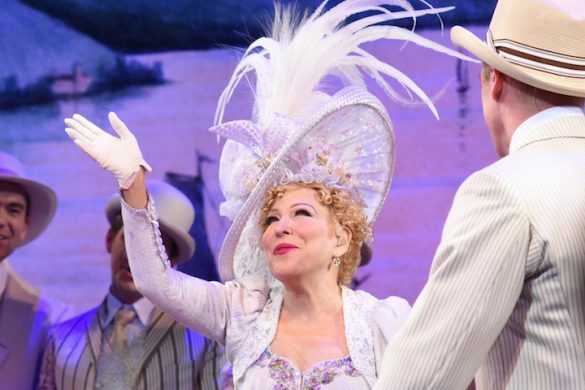 “Oh, What A Beautiful Mornin’” from Rodgers & Hammerstein’s seminal Broadway classic Oklahoma! is one of the most iconic opening numbers to any musical. But do the clouds roll in when it’s reimagined for a new generation? The song is simultaneously a scene and mood-setter, an amalgam of physical descriptions (“There’s a bright golden haze on the meadow [x2] / The corn is as high as an elephant’s eye / An’ it looks like its climbin’ clear up to the sky”) and poetic contemplations (“All the sounds of the earth are like music”), sung by an enigmatic, energetic cowhand. It’s an invitation to appreciate the pure beauty of the setting, to see the farm in the eyes of its resident. 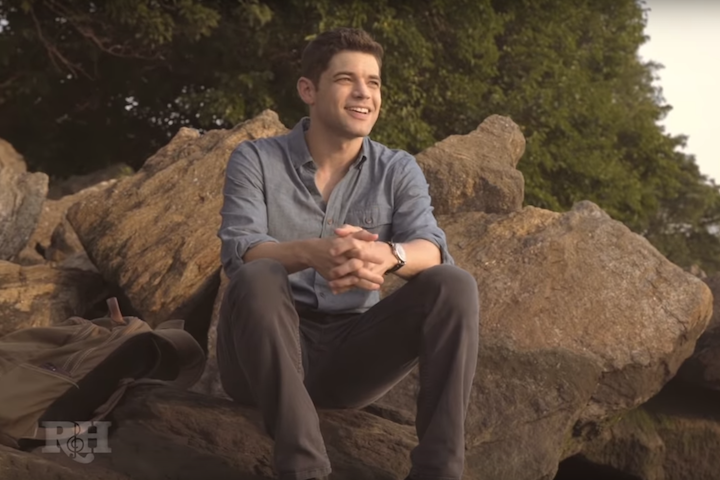 Jeremy Jordan’s (American Son, The Last Five Years) recording, part of a new series called R&H Goes Pop! from the Rodgers & Hammerstein Organization, lacks the genteel simplicity and charm of the original. Jordan and Benjamin Rauhala’s arrangements deliver opening piano strands that are slow and somber. 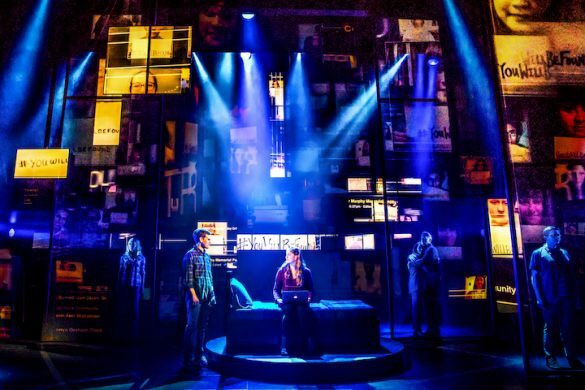 It’s in the vein of Sara Bareilles or “Beautiful City” from the 2012 revival of Godspell, offering mood-setting chords matched with an equally quiet and contemplative Jordan. Perched on the rocks by the red lighthouse in Washington Heights, Jordan sings, reserved; the pop adaptation of the song takes liberties with the melodic line, and instead of the notes ascending, the melody swerves down and veers off the original key for a more moody, angsty feel. It’s an odd musical choice: the somber beginning doesn’t quite match the carefree optimism and happiness of the lyrics and lessens the link between the adaptation and the original. When Jordan eventually perks up, standing and climbing the lighthouse at one point while the music swells in a country/folk direction, it seems more fitting. I’m okay with adapting the classic Rodgers and Hammerstein canon; as a lifelong lover and listener of the duo’s work with a soft spot for the scores of Oklahoma! and Carousel, and I’m happy to see their beauty reach new generations and remain relevant and appreciated through the years. I know many people who have never heard these songs, and the only way they would might be through pop adaptations. I wonder what listeners might think of Jordan’s song if they’d never heard the original. Does it fall into the category of a forgettable country song or does the original’s spark and beauty shine through? While I support updating and reworking classic material, (theater fans are in eager anticipation to see what Ivo van How and Anne Teresa De Keersmaeker do with West Side Story), I feel that it should be done in a way that blends the original and new more seamlessly, rather than burying the bones of the original. This arrangement feels like a completely different song that happens to use the original’s lyrics, making it difficult to attribute to the Rodgers & Hammerstein canon. The video also offers an unclear juxtaposition to the original. At its start, Jordan is sitting on rocks at the edge of the Hudson River, looking down at his iPhone for a few moments before shutting it off and gazing thoughtfully in the distance. Has he seen something on his phone that has prompted the song? A new acting gig? A text from a romantic interest? What has made him decide that this morning is worthwhile? Natural splendor was enough to inspire the original, and that beautiful simplicity feels lost. Rodgers & Hammerstein’s Oklahoma! is coming back to Broadway this spring. The critically acclaimed production from St. Anne’s Warehouse will move to the Circle in the Square, starring Rebecca Naomi Jones as Laurey and Damon Daunno as our favorite early bird cowhand, Curly. As for R&H Goes Pop!, I’m curious to see what the next mornin’ brings.